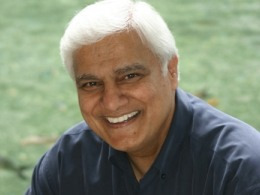 Ravi Zacharias believes that over the past forty years movements like New Age spirituality and society's obsession with human potential have combined like a "perfect storm" to redefine for popular culture what has been for centuries the classic biblical definition of the person, work, and teaching of Jesus Christ. In Why Jesus?, Ravi Zacharias looks at the impact of this "storm" by discussing the 60s-70s "Age of Aquarius," actor Shirley MacLaine's book and TV series Out on a Limb, author James Redfield (The Celestine Prophecy), Rhonda Byrne (The Secret), Dan Brown (The Da Vinci Code), and other books by Eckart Tolle, Wayne Dyer, Deepak Chopra, the Dali Lama, and Marianne Williamson. Special attention will be given to the influence of Oprah Winfrey's media platform in reshaping society by introducing and promoting certain books and authors. Major New Age and human potential tenets will be discussed like: the belief that we are all gods and have to discover our divinity; Jesus was only a good teacher; Christianity is but one among many ways to eternal life; reincarnation is real; Jesus was married; truth is relative; there is no sin; and perfection is possible. The truth of and the arguments for the bodily resurrection of Jesus will be presented as the most important argument for the exclusive claims about Jesus and Christianity.